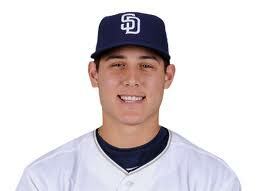 You are here: Home / Baseball / What is the best way for Padres to handle Rizzo? 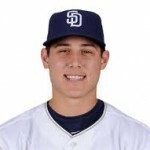 What is the best way for Padres to handle Rizzo? By week two that question had turned a little more pointed into, “WHY haven’t the Padres called up Rizzo yet?” With the Padres offense still struggling (although they did scorch the Brewers staff for 19 runs, and 33 hits over their past 13 innings of play), and other teams calling up some of their hot young prospects, the chant to call up the shining light from Tucson seems to get louder each day. I found an interesting article written by Kevin Goldstein of Baseball Prospectus, questioning the wisdom of the Royals calling up one of their future superstar hopefuls, Eric Hosmer. Other than the Royals having a winning percentage .123 points higher than the Padres, the similarities of the decision at hand were strikingly similar to me. I think it would be an interesting read for any Padres fan wondering why a team, especially one struggling to win games, would hesitate to call up its young talent. I submit for your review and comment Eric Hosmer Arrives Too Soon (click to view), or click here for selected excerpts, and I look forward to your thoughts and comments.